The Guesthouse is well situated and close to the International Airport, Cultural Attractions, Boardwalk, Casino, Sports Facilities, Restaurants and the Harbour. Humewood has been described as prestigious and a peaceful Neighborhood - prestigious as the homes and hotels here are indeed beautiful. It is a stone's throw from Kings Beach and Humewood beach (both with blue flag status). 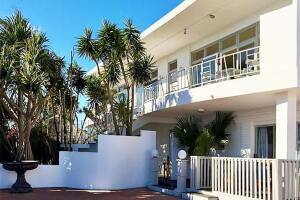 La Mer Guesthouse offers twelve, seaside-themed rooms. 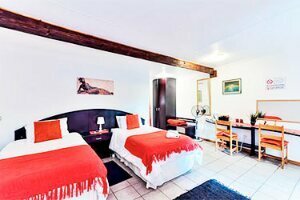 The property boasts a beautiful Garden, Swimming pool, Lapa Barbeque / communal Kitchenette area. 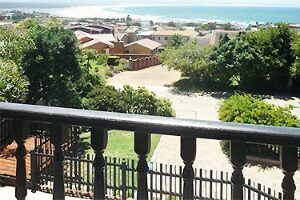 The rooms on the top floor also have spectacular views of the Port Elizabeth sunsets, harbour and beach. 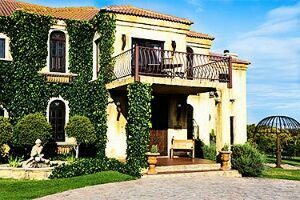 Situated in the business hub of Port Elizabeth is our guest house within a tropical garden, 6 rooms are available each with private entrance and individually decorated. It a true home away from home with friendly helpful staff.